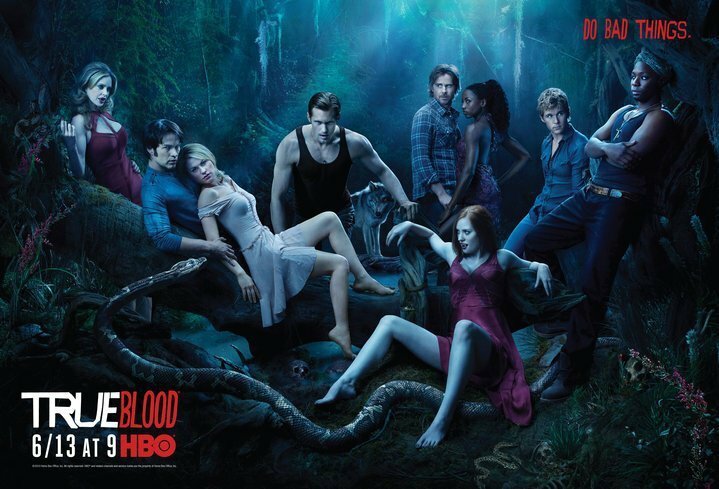 With filming of Season 4 of True Blood set to start next week fans have anxiously been awaiting more tidbits and casting news! Deadline.com is reporting that three new characters have officially been cast for the upcoming season. Luna, who will be played by Janina Gavankar, is a shapeshifting teacher who will first be seen at an informal gathering of other shifters. Gavankar has been seen previously in The Gates and The L Word and will be a series regular. Daisy will be part of the wiccan group that Marnie (Fiona Shaw) is part of and will be played by Alexandra Brecekenridge. Brecekenridge, who has mainly done voice-over work on Family Guy, will be a recurring character. Naomi We previously reported that a casting call had gone out for Naomi, and that role has now been cast. Naomi, who is a fierce fighter who participates in underground cage fights for money, will be played by Vedette Lim. Lim has previously been seen in the soap opera As The World Turns and will be a recurring character. In other Season 4 news, Jessica Tuck, who plays Nan Flannigan the public face of vampires, has been promoted to series regular so it looks like we’ll be seeing a lot more of her this season. 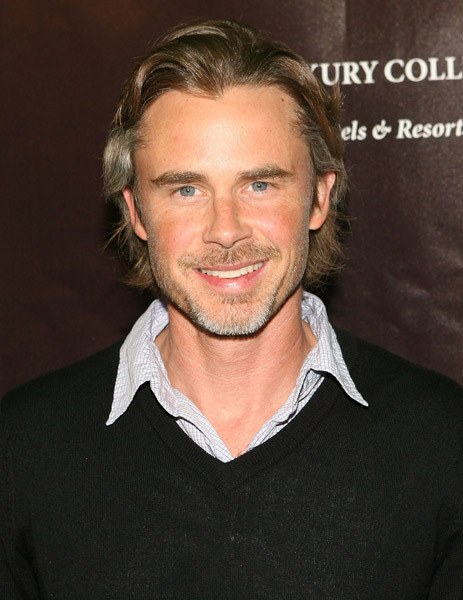 Trammell also said he just did his first script read with an actor who’ll be playing a major new character. “There’s gonna be a new character – a few new characters that I’m working with, yeah,” he says. Read Alexanders interview at source! EXCLUSIVE: HBO’s smash has made its second major Season 4 hire: Dexter actress Courtney Ford is joining True Blood as a recurring. The actress — who ironically just completed a stint on another vampire drama, The CW’s The Vampire Diaries — will play Portia Bellefleur, a classic Southern beauty who runs her own law practice. The character is the sister of Bon Temps’ bumbling detective Andy (Chris Bauer). Read more at source! Irish actress Fiona Shaw has been cast as the new character “Marnie”, reports Deadline. 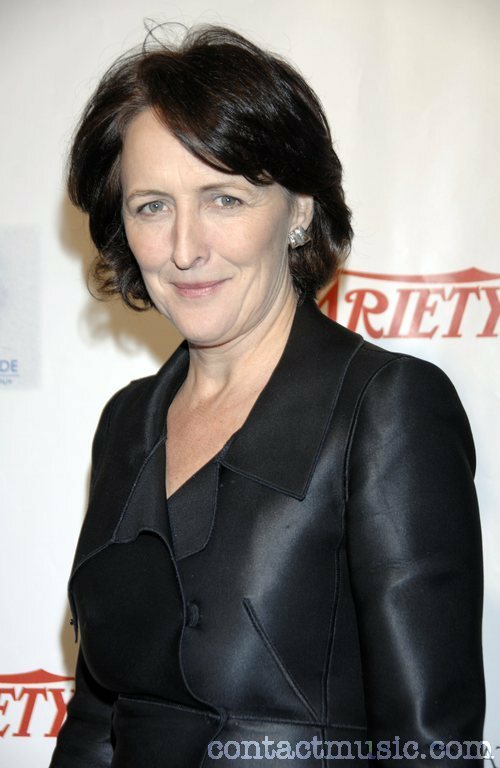 Fiona Shaw is probably best known in the U.S. for her role as Aunt Petunia in the Harry Potter movies. Marnie is a mousy, timid and secretly self loathing storefront medium and palm reader who is taken over by the spirit of a powerful witch. The character was originally envisioned younger but is being adjusted for Shaw. Shaw is currently onstage at Dublin’s Abbey Theatre in a limited engagement of Henrik Ibsen’s John Gabriel Borkman opposite Alan Rickman and Lindsay Duncan. On U.S. television, she previosly co-starred on ABC’s limited series Empire. Translated by google.com, Some of these questions have come out a bit wrong me thinks, lost in translation but we get the idea! Eric Northman on a sofa in the Bayerischer Hof: In Munich Serienjunkies spoke to the nicest man in Sweden on the fourth series True Blood, Comic-Con and how his hair the fans to bring the screams. 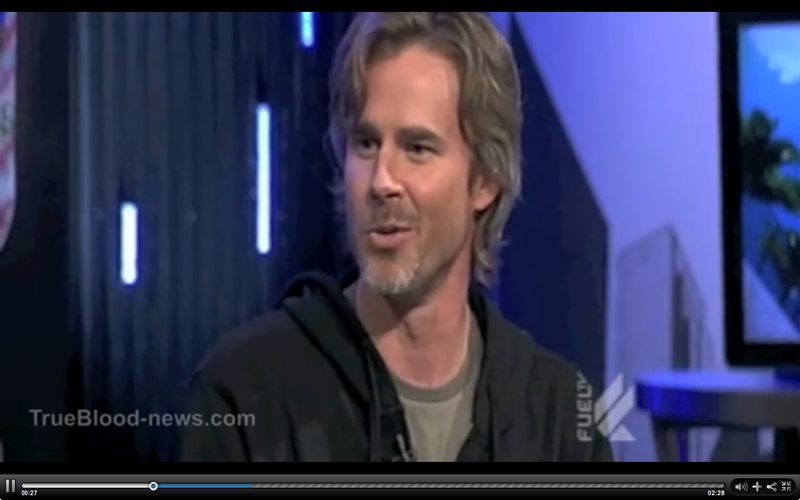 In early October Serienjunkies-struck female hearts racing: one of the most beautiful men in Sweden was at the launch of the vampire series “True Blood“at the transmitter SyFy Munich. 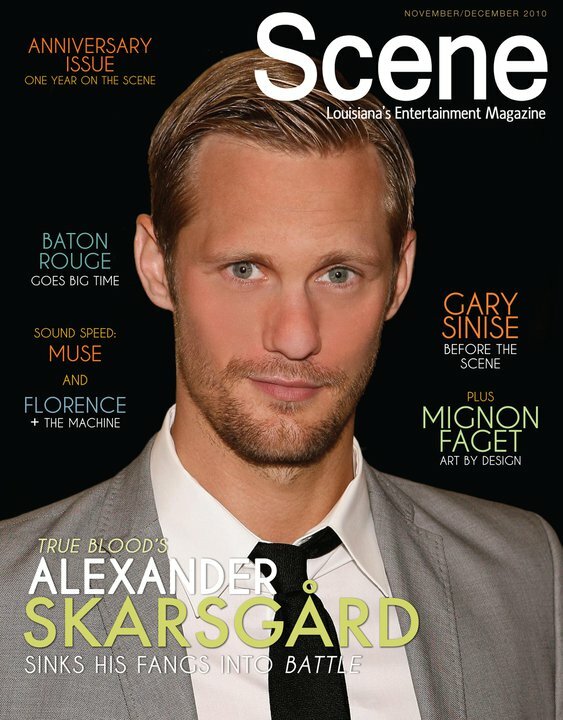 by Alexander Skarsgard has a large room in the Bayerischer Hof’s very young and almost a little shy. With a cappuccino it makes to the 1.90 meter tall actor in the old-fashioned sofa comfortable to Serienjunkies.de® are questions to answer. SJ: In the series “True Blood” you play the Swedish vampire Eric Northman. Was it coincidence or actually examined the casting directors immediately after an actor who speaks Swedish? You have searched in Europe and the USA for the right performer. In the end, they really have found a Swede. 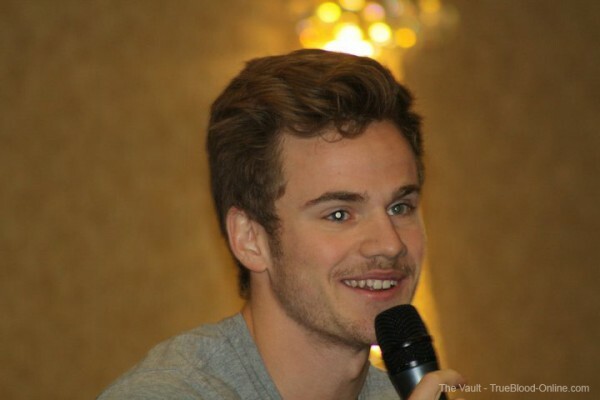 SJ: So you could say the scenes in Swedish accent. Exactly. On the idea with the Swedish, we were not here earlier. Generally, they wanted Eric also has a very strong accent in English, but I was able to convince them that it was illogical for such an old vampire could not speak several languages fluently and without accent. He has, after all, lived thousands of years. But I suggested that we could incorporate a few Swedish phrases, so that Eric does not like all the other vampires, but is given something exotic. SJ: Is Alan Ball happy to respond to such proposals? And there were other ideas that could bring you? Alan is generally very open to any suggestions. A series is a joint process of authors and performers. At least that is on “True Blood” so. If, after receipt of the script have an idea or change a dialogue like, you can always talk with the author of the episode. They are very open to suggestions. It is an open dialogue and for me as an actor also very important. SJ: How did the change in the haircut? In season one I was wearing a wig. I had previously in the series “Generation Killplayed “as a soldier and had a military haircut. So I wore a wig and the first time after the first season we had had enough of the kind of thing. The wig finally had to retire into. SJ: Will we see more in the fourth season of Eric’s past? The reviews were a highlight of the third season. I hope so. These flashbacks also have a lot of fun to me incredible. One understands this character so much better. The authors are currently writing the scripts for the new season. Filming is to start in two months (ie in early December, the Red Note) – I really do not know what they have planned for the new season. It would surprise me, however, if there were no flashbacks. 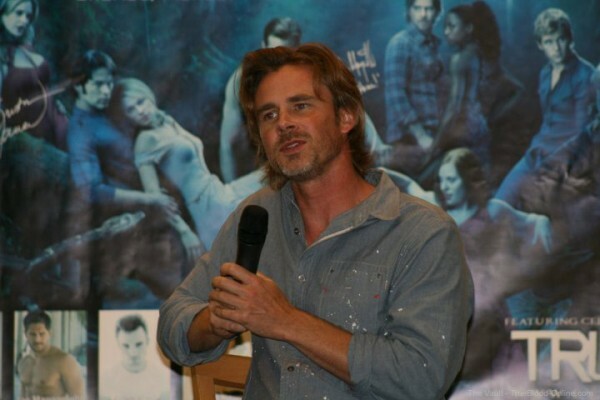 SJ: Will we get to see in season four, the story of Eric’s memory loss? And with it a lot more scenes with Sookie and Eric? It takes a certain amount of creative freedom for such a series. I must confess I do not know what will happen and it needs to know but not necessarily. When I read the first script, for me to feel like the fans who see the first episode of a season and are wondering what happened. 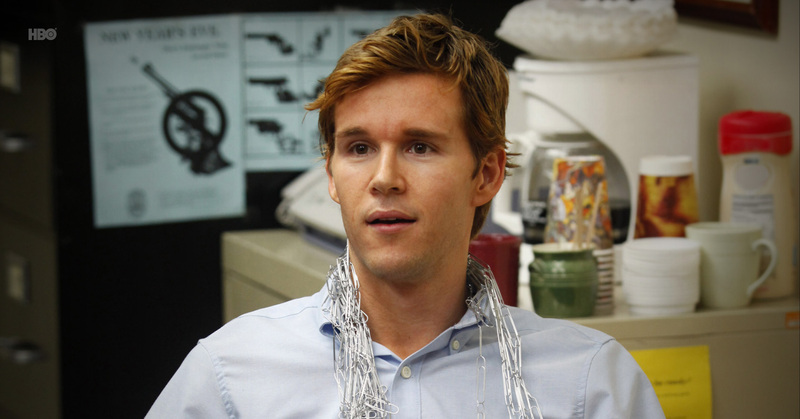 Rueters) Ryan Kwanten recently sat down with Lesley Goldberg to discuss his new Aussie western, Red Hill, what’s next for Jason Stackhouse, and his upcoming role as infamous murderer Charles Manson. HOW DID “RED HILL” COME TO YOU? It’s been one of those Aussie surprises. It was the first time I’d worked back in Australia in about eight years. It wasn’t my intention to go back there. What I liked about it was the throwback to the classic-style western. The character that I play, Shane Cooper, is very flawed, and I thought it was interesting to play a hero who was fallible. WHAT ARE THE BIG DIFFERENCES BETWEEN DOING A CABLE SERIES LIKE HBO’S “TRUE BLOOD” AND AN INDIE AUSTRALIAN THRILLER LIKE “RED HILL”? The two main things are time and money. You really are forced to film things creatively for an independent film. With this film, it was almost like the hotter it got, the more insane and happy we got. You sort of have to have a chromosome missing to want to be a part of this business, and Australians are slightly masochistic, so we kind of enjoy sort of being out there at 3 a.m. knowing that the rest of the world is sleeping and here we are, this mad bunch of 50 to 80 people trying to make a film. WHAT’S COMING UP FOR JASON IN SEASON 4 OF “TRUE BLOOD”? Jason is so spur-of-the-moment that it hinders me to know what happens in the future. I tend to wait to see what the writers give me rather than standing over their shoulders waiting to see what happens. I’m guessing that he realizes he has to look over the crew that Crystal left him with. He’s probably going to try and get further into the police force to try and cement some position of authority in Bon Temps. If anyone should not be in a position of authority, should not be having a gun, it’s Jason. I just love working with Andy. The two of them are so polar opposites that when you put them on screen together, it’s an engaging dynamic. HOW ARE YOU GOING TO PREP TO PLAY CHARLES MANSON? Scott Kosar is the writer on it, and he also wrote “The Machinist.” He doesn’t get anywhere near the set unless he’s 100 percent prepared, and even before I signed on he’d done an abundance of research. I’m three-quarters of the way through “Helter Skelter,” which is the Vincent Bugliosi chronicle of the Manson murders. Then we’re heading out to Spahn’s Ranch, which is where Manson did a lot of his planning with the Family. We’re going to be shooting at a lot of the places where the events took place. It’s going to be disturbing and dark. With filming for ’True Blood beginning next month, it’s no surprise that EW’s Michael Ausiello has managed to snag the low-down on five new characters that we’ll be meeting in the shows anxiously awaited fourth season.